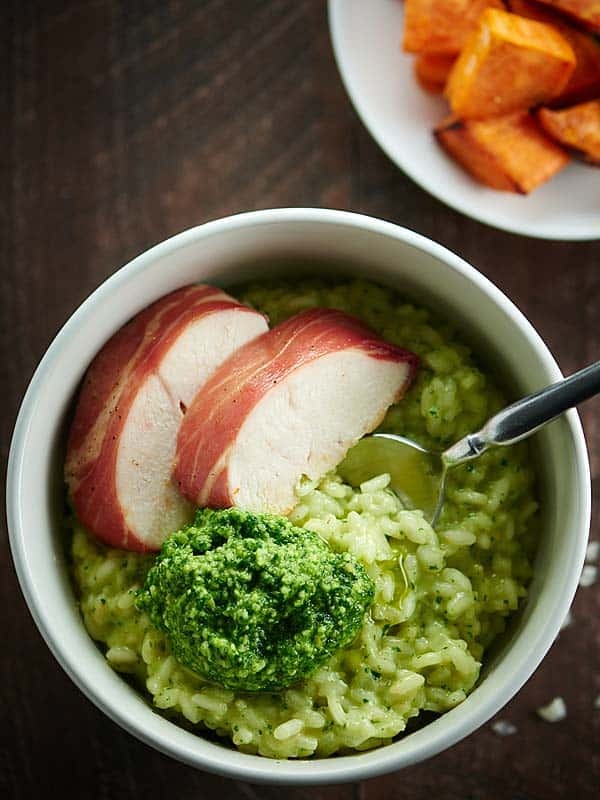 This Pesto Risotto with Roasted Chicken and Vegetables is made w/ pan roasted chicken, prosciutto, sweet potatoes, & green beans & cilantro pesto risotto! 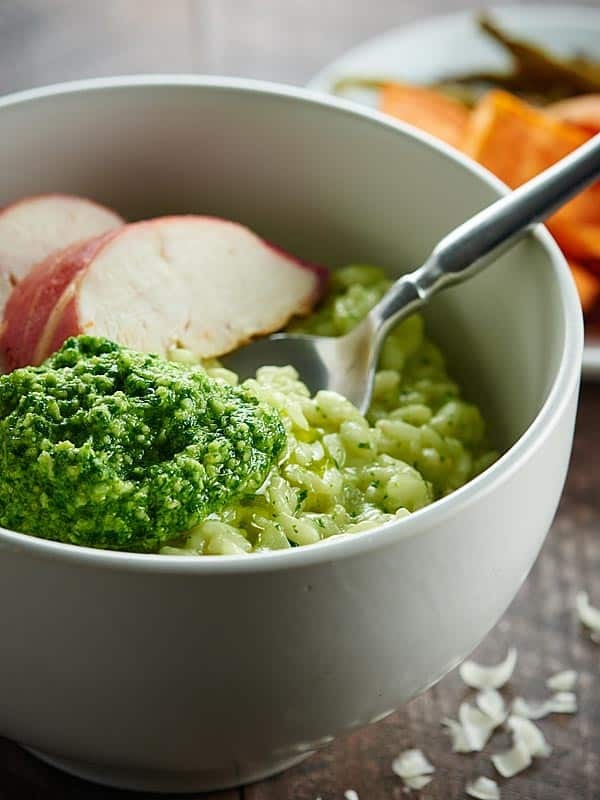 Pesto Risotto with Roasted Chicken and Vegetables <– that’s a mouthful, I know, but it’s a really, really, really good mouthful. Honestly, I was really excited to recipe test this recipe, but it turned out so much better than I could ever imagine. Make this as a special Valentine’s Day dinner for your loved one – seriously, it’s so easy, I promise you can do it – and then make it again for every other weeknight dinner, because it’s that good and easy, but feels so fancy, because risotto is fancy. You know what I’m saying? 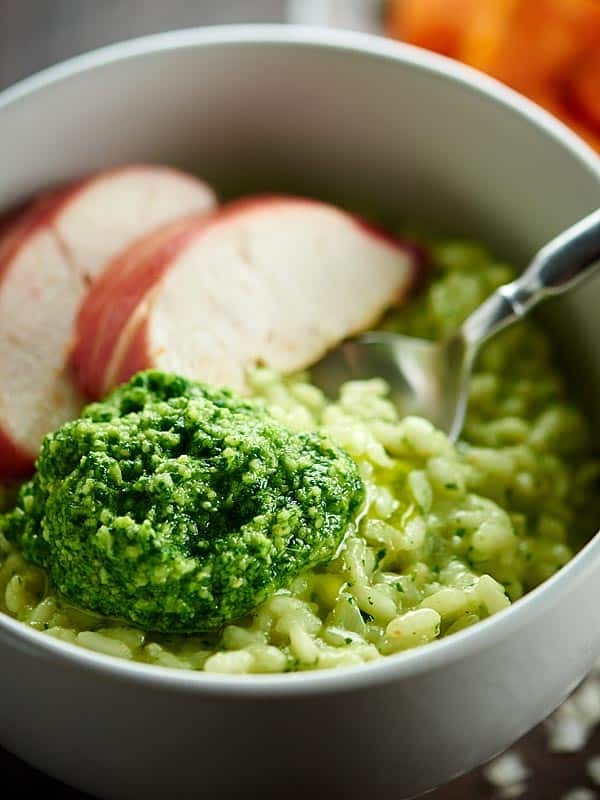 It all starts with chicken breasts wrapped in prosciutto that get roasted in the oven with sweet potatoes and green beans and it ends with the creamiest, most decadent pesto risotto that’s made with my homemade cilantro pesto. On Monday, I made the French Onion Soup for Two. That was your Valentine’s Day appetizer and now, I have for you, your Valentine’s Day dinner. Husbands? Wives? Girlfriends? Boyfriends? Make this for your significant other and they won’t even know what hit ’em. 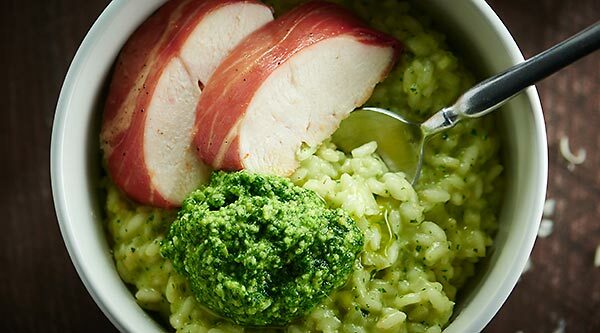 While this Pesto Risotto with Roasted Chicken and Vegetables may sound and taste complicated, it’s actually really easy to make. Only two dirty dishes? Heck yeah! Let’s talk chicken and veg first. SO easy. SO moist. SO tender. All you need to do is wrap two chicken breasts in prosciutto and place them on a baking sheet with some cubed sweet potatoes and green beans. Toss everything in olive oil, salt, and pepper and bake. We could just end there, but holy cow . . . roast chicken w/ prosciutto and roast-y sweet potatoes/green beans go really well with creamy, pesto risotto. 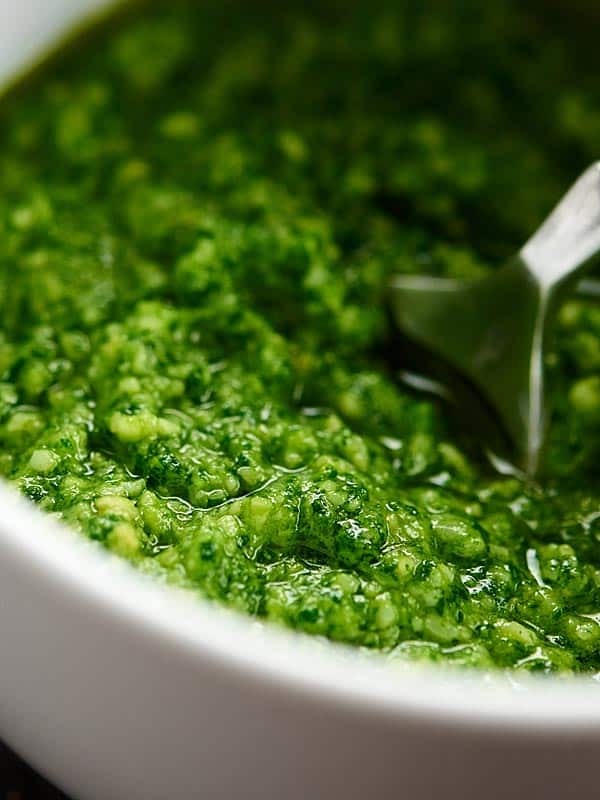 First of all, you could use store bought pesto, but I’d highly recommend making my cilantro pesto. 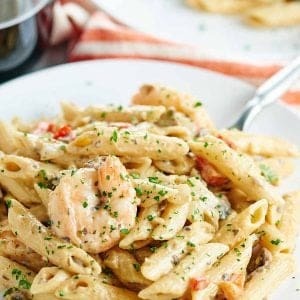 Again, it’s ridiculously easy, cheaper and better tasting than store bought, and you could make it the day before if you want to save time. Now that we’ve got the pesto situation handled, let’s talk risotto. I feel like people are scared of risotto, because it sounds fancy and takes a little time, but guess what? It’s so easy! Do you see the theme here for this EASY 😉 Pesto Risotto with Roasted Chicken and Vegetables? Saute onions, add in Arborio rice and garlic, stir in wine, and 1/2 cup at a time, add in chicken broth. Once the risotto is perfectly tender, stir in plenty of butter and that homemade cilantro pesto. Serve it up with the juicy chicken and tender veggies and you’ve got a complete meal! Seriously. I don’t know why, but pesto + risotto + roast-y sweet potatoes is oddly a really freakin’ fantastic combination. This two part Pesto Risotto with Roasted Chicken and Vegetables is so flavorful, so easy, and honestly, one of my new favorite dinners. Have you ever made risotto? Show me the yummy! 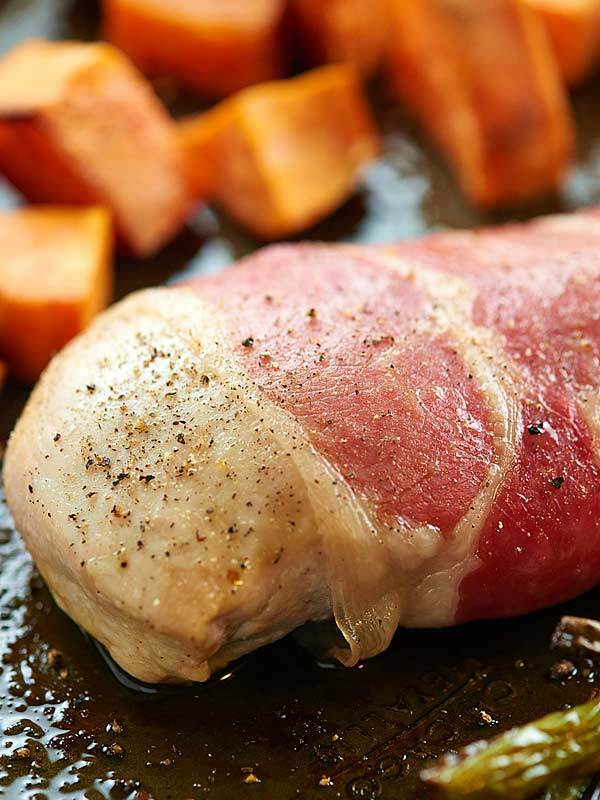 Wrap chicken breasts with prosciutto and place onto the middle of an unlined rimmed baking sheet. On one side of the baking sheet, place the greens beans and on the other side of the chicken, place the cubed sweet potatoes. Drizzle everything with olive oil, salt, and pepper. Toss the veggies to coat them evenly with the oil. Once hot, add in olive oil and stir in the onion. Add rice and cook for an additional 2 minutes. Add in garlic and cook for 30 seconds. Keep heat at medium/medium high and pour in wine, stirring constantly until the wine is fully absorbed. Add 1/2 cup chicken broth to the rice and stir until the broth is absorbed. 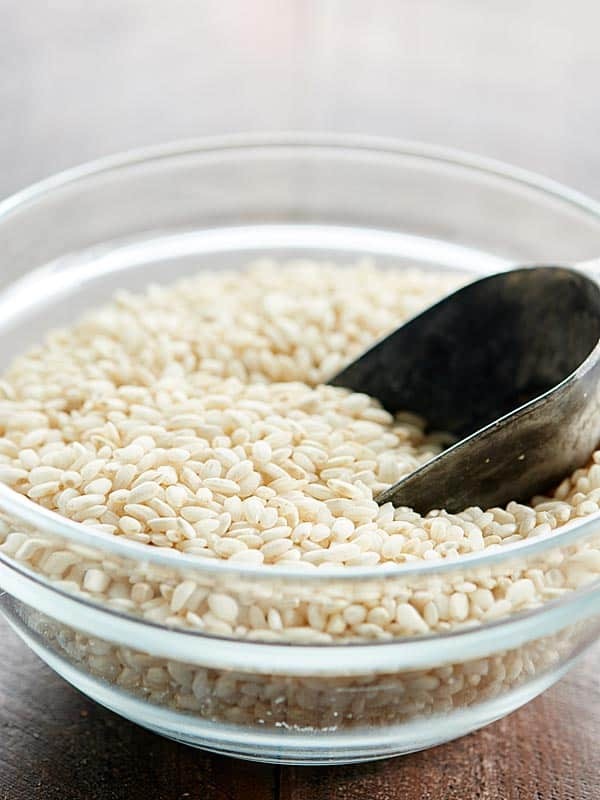 Stirring constantly, continue adding broth 1/2 cup at a time, until the liquid is absorbed and the rice is al dente, about 15 to 25 minutes. Remove from heat, and stir in butter and pesto. 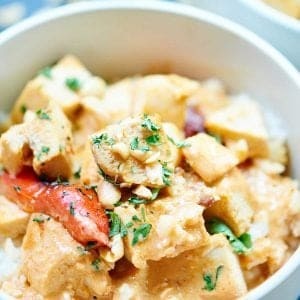 Serve immediately with chicken and vegetables! *If your sweet potato chunks are too big and don't cook in time, just remove chicken from the pan and set aside while you bake the potatoes for 5-10 minutes longer. **For timing purposes, I would start baking the chicken once you start adding the chicken stock to the risotto. I would certainly be happy if someone made this for me on Valentine’s day! I’ve never made risotto before (gasp!) 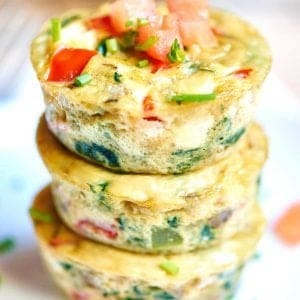 but this looks SO delicious! 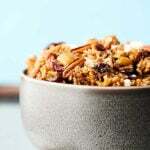 Do you every include nutritional values of the recipes you list? 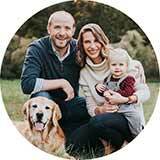 Is thee a place where those values are posted? All your recipes look great. Thank you for all the variety you present. I’m not complaining, it just takes me so long to try to figure out the nutritional values that I don’t always try the ones that look so appealing.